There were just three Irish International Grand Prix which for a short period were held annually between 1929 until 1931. Competitors were tasked with lapping the four and a quarter mile course 71 times to cover the full 300 mile distance, all of this within the confines of Pheonix Park, Dublin, a huge open space well within the city’s boundaries. This ‘Motor’ plate image (LAT ref 680-2) shows the MG C Type Midget of Mr. H. D. Barker leading D. C. MacLaughlin’s Riley. 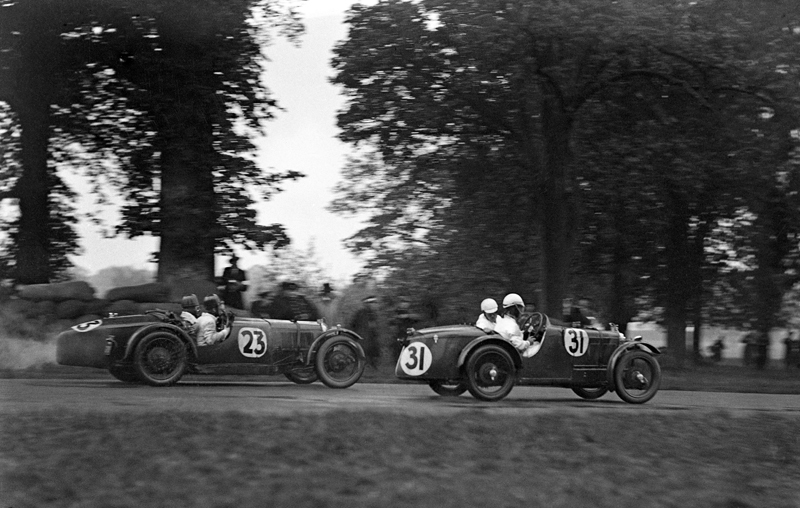 While Barker finished sixth there were three C Type Midgets ahead of him, nine Midgets finishing in total, ensuring that the team prize went to the Earl of March’s all MG team. MacLaughlin’s Riley failed to finish.